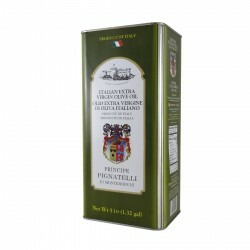 The farm Principe Pignatelli manufactures and markets extra virgin olive oil of high quality. The House Pignatelli, noble name, is the protagonist in the territory of Monteroduni from Lombard origins and the feud from the seventeenth century, as evidenced by the ancient castle. The house of 1611 is the historical site of the mill, and the offices of the store. In the area, famous at the time of Horace as the 'green venafro' develops the farm on the estate Prince Pignatelli. The olive groves extend over hills at 200/250 mt above sea level, located in a sort of natural ecological niche. Owns the entire supply chain from the tree to the bottle. The link between product and territory and the propensity for innovation are the hallmarks of the company Pignatelli. Looking for native cultivars regional, plus the observance of a disciplined that ensures control of the supply chain. It caters to a clientele sensitive to food and environmental issues. 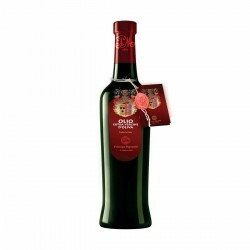 It makes use of the certification for organic production by ICEA and cetificazione Protected Designation of Origin Molise.